can we describe what discipline is or there is a particular definition of discipline. 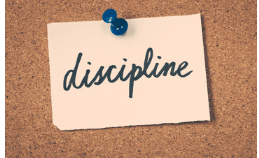 More often if we ask someone about the discipline they will revert “it is an activity or set of rule which has to be followed by students in schools. But is this the right answer. Hi today in this blog, i am going to share you some information about how can a school management deals with disciplinary actions. To know more about we have to first find out that what is discipline. Discipline is the way in which every work or activity is performed in a perfect manner without disturbing or Distorting the rules. If we deeply observe the nature and universe, we will find that every object in this world, the universe is following a rule and performing their activity in discipline, for example – the sun always rises from east and sets in the west, it also always rises in the morning yaa! always not in the night or evening time giving the excuse “oh today i am feeling so tired, I burnt all day long yesterday needs a jump in the swimming pool so I will rise a bit late today” no not at all, the same way earth rotates on its axis causing day and night, never trying to make a delay and also taking a ride around the sun for 365 day continuously, which in results gives us different seasons like summer, winter. from these two examples what we have seen, that they are doing there work in proper way ie discipline, imagine if there is just a slight change in there routine, all human race will reach the gate of perishing. This tells us why discipline is so important in our life, not only for the students but also for every human no matter how old they are. but that’s another topic of the discussion, today we will see some disciplinary action that should be used or implemented by school management. School is the first place in today’s world where a child starts their journey of social life, it is the place where learning began in student life. schools are the place where a child starts to live in an environment without parents hence living without overloaded affection of a mother, grandparents. 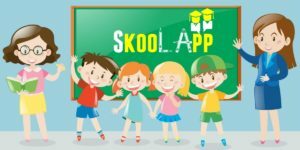 Schools have some rules which have to follow by the student like – a proper dress code, sitting in the respective class, scheduled time for lunch, play etc, apart from that there are many other rules also, which are created not to be so harsh to the students but to magnify the little diamonds. The rules are made to make the children able to live on the guidelines that will carve their personality. But its not that easy to make discipline in schools, teacher, school staff has to made lot and lots of efforts to make discipline in the school, reason – its so difficult because child life is full of naughtiness, chunk, and shakiness, what is so important for them and what things they have to do, it all seems a burden to them, that is the reason it is a hard work project for schools to keep the school and students in discipline. Ahh, it’s not good to be so hard and harsh towards the students in order to make them more disciplined, there is numerous way which can bring them back to the right way. But this is also the point that sometimes you have to take some tough decisions when ship seems to drown. When a student continuously doing some wrong things and not willing to improve, this is the way or can say a solution to put that student back on track. Suspending a student for a little period of time from attending school and other school-related activity will make the student feel guilt and there is a chance that he/she will try to repent and be in discipline. In this A specific task is assigned to the student or students has to report at the specific place in the school in school time. If the students fail to complete the task or role, they again get some detention work. It is, in my opinion, the best way to guide a child who is wandering from their objective of life. why I am saying this because in many cases giving punishment to a child creates a feel of criminal in there mind which sometimes instead of solving the problem leads to complete loss of child’s good mentality. That is the reason in almost every school there are the counselor, academic, psychologist, etc which time to time gives counseling to students who need a proper guideline that shaped there life and solves there query. It is better to be friend with students who are facing a problem or mistakenly has done something wrong, instead of punishing them, giving them a good counseling session can not only solve the problem of there but also bring back the student in the discipline. This will also teach them the lesson how to deal with such conditions when they will reach that age level or become the parent in the future. Counseling is the finest and best punishment or disciplinary action, in my opinion, to give to pranky or notorious kind of students.